You should absolutely put The Sisters’ Song on your ‘to be read’ list this summer if you like Australian historical fiction – it’s beautiful and uplifting; devastating and with plenty of truths about life, motherhood and the bond between sisters. In mid-nineteenth century Australia the dreams of any good Tasmanian girl is to marry a good Tasmanian man, keep his house and bear him children. Ida desperately wants to live this dream. She cares for her younger sister, Nora, after their father’s death – while their mother is in the grips of deep mourning. As the years pass, Ida leaves home to care for other children as a live-in nanny, before marrying her good Tasmanian man and settling down to start a family of her own. Ida’s sister, Nora, doesn’t want children. All she wants to do is travel the world and sing. With her incredible talent, and the encouragement of her grandmother, her musical career looks very promising. And yet, just a few years later both sisters find their dreams shattered. Ida remains childless while Nora is saddled with a husband and children, deep in the wild Tasmanian forest. 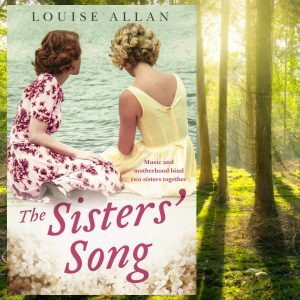 By tracing the lives of Ida and Nora, debut author Louise Allan illustrates in stark detail how wrong this assumption is, and how many lives were destroyed by the insistence that all women were better off with babies. Nora is forced into family life while Ida is forced to watch her sister rear children she never wanted. Children that Ida would dearly love to raise herself. And yet, through her pain and grief, Ida’s love for her sister – and perhaps a decent portion of self-interest – leads her to help Nora care for her children. Mental illness, including post-natal depression, also rears its destructive head in a time when it was little understood and there were very few treatment options. This is a wonderfully written family saga spanning 70 years. I devoured it in two days, shooing away the kids to get time to read just a few more pages. Warning: You will need tissues. Disclosure: I received a copy from the publisher for the purpose of review. This post contains affiliate links.